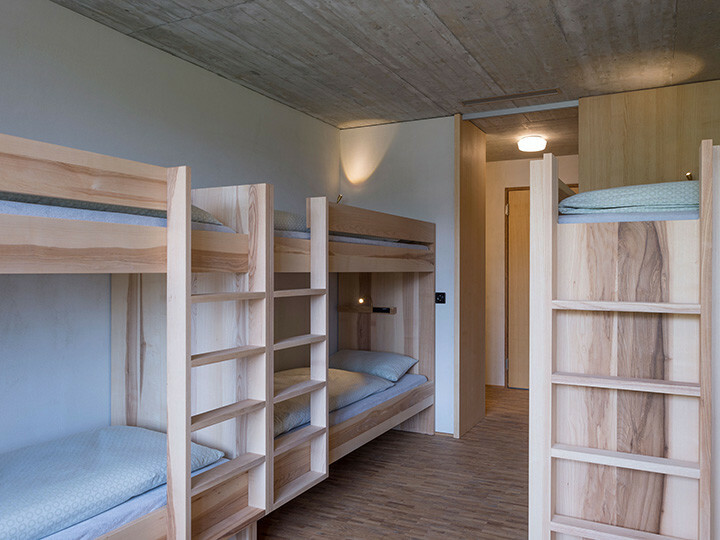 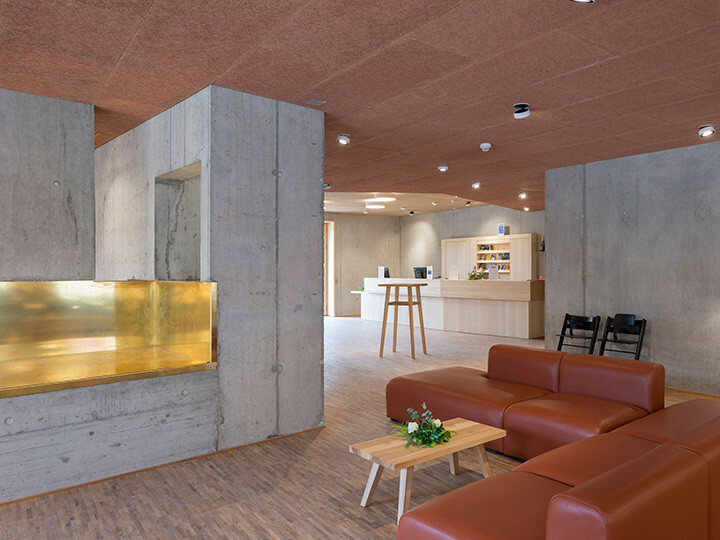 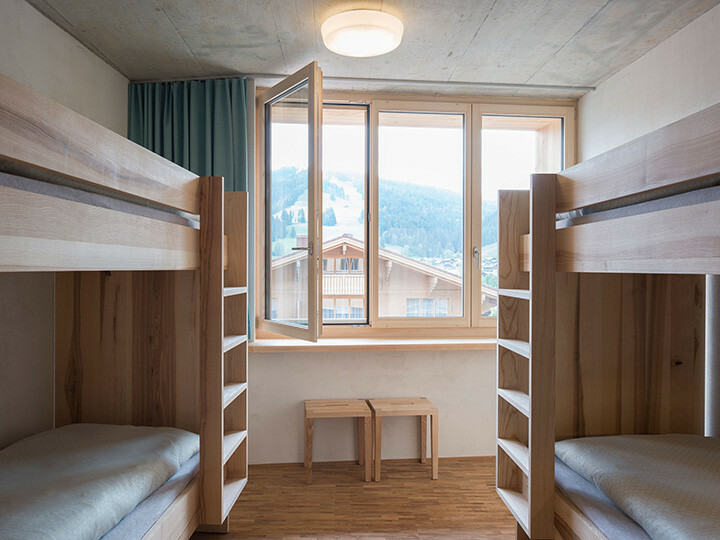 This new hostel, which is located in one of Switzerland’s most attractive hiking, mountain-biking and skiing regions, is a delight for families and individual travellers alike. 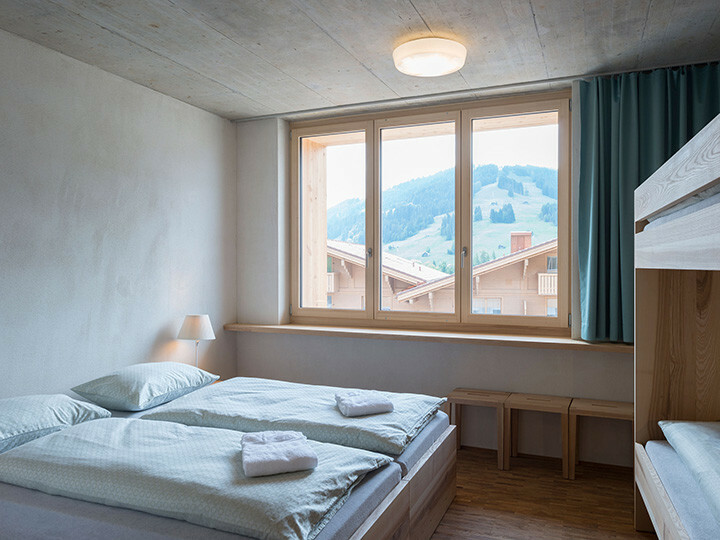 Almost all rooms face the mountains, providing a magnificent panorama over the Swiss Alps from as soon as you wake up. 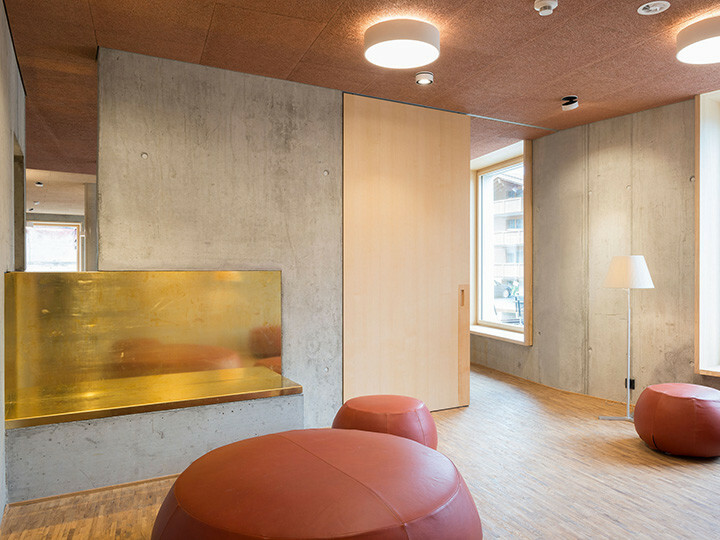 The large terrace is perfect for sunny days; on cool evenings there’s the warm stone oven to sit on or the quiet reading corner. 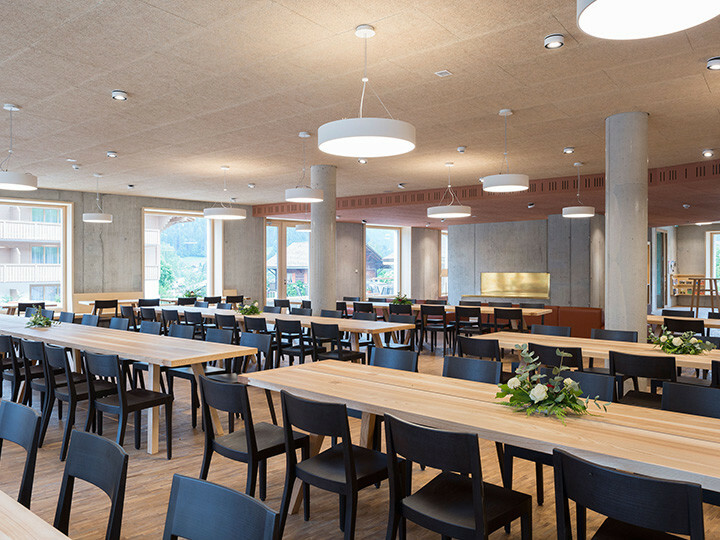 And every day starts with an abundant breakfast buffet, which is as always included in the overnight rate. 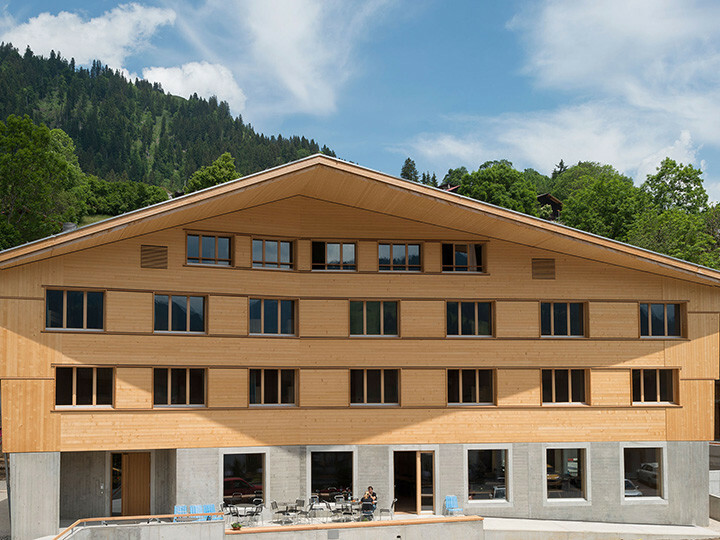 After the three-course meal of local dishes, our guests often enjoy staying in the spacious dining room – the heart of the youth hostel – to meet like-minded people. 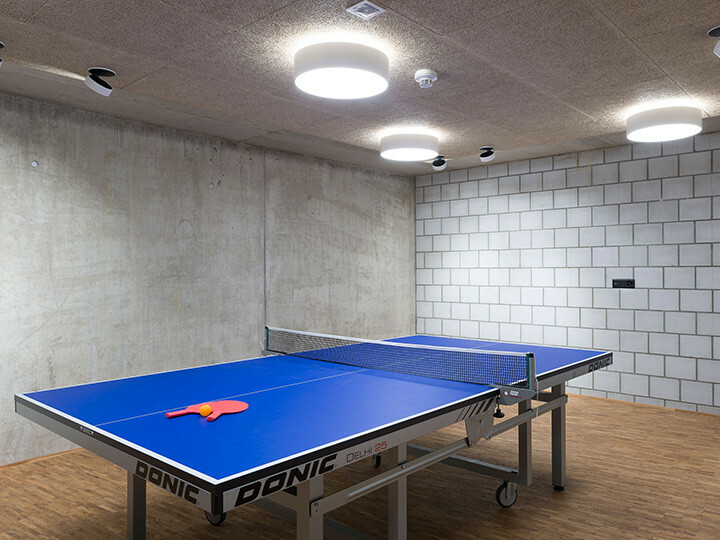 With family rooms and four-bed rooms, as well as a playground, play area (indoor), table tennis and football, everyone in the family can find something to get the pulse racing. 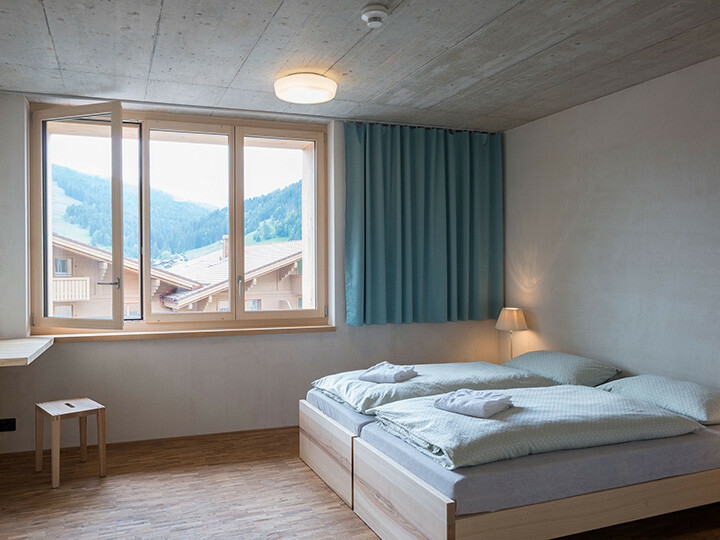 Double and multi-bed rooms can be enjoyed by couples, friends and schools, and the local holiday and leisure activities will enthuse sports-lovers and culture-lovers alike. 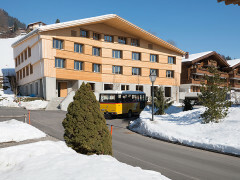 Highlights include the Menuhin Festival, the Country Night, the Tennis Suisse Open - a must for tennis fans from around the world since 1915 - or the FIVB Beach Volleyball World Tour, the authentic agricultural and craft traditions, as well as the more than 300 km of hiking trails and 220 km of slopes. 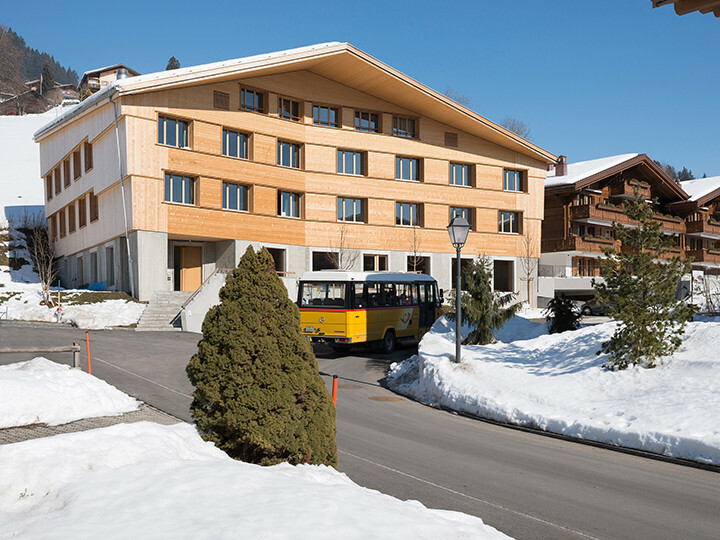 Please note that the Easy Access Card and ski passes as well as tickets for the sports centre can be obtained directly from the hostel.